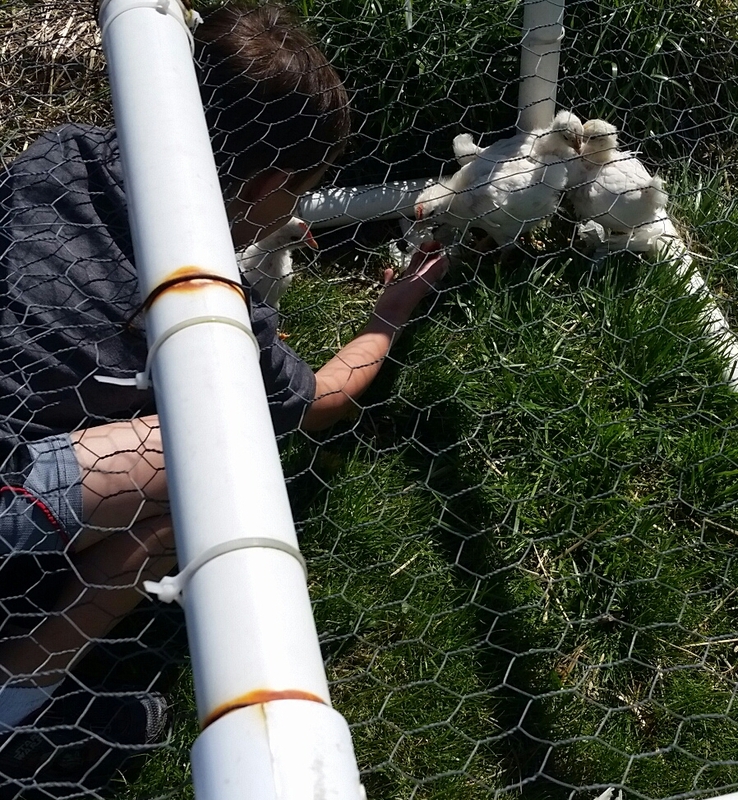 We move the chicks outside to the run every day. The boys fight over who gets to pick them up, transport them and put them in the pen. Then, they both eagerly hop in and start digging. 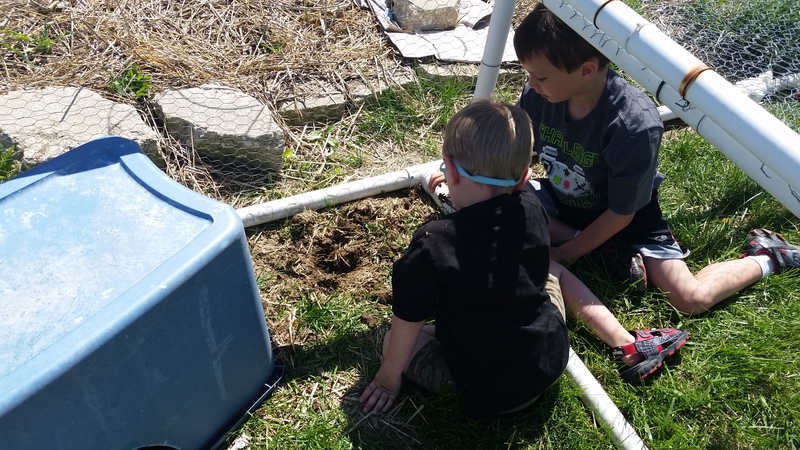 They like nothing better than to feed the chicks live worms. They get the biggest kick out of the little pecks and tweets and fights that break out when they hold a wriggly worm in the air. As I sat watching, I wondered at the chicks lack of fear with the boys. They hopped on their laps, walked right up to them and came running to a “hear chickie, chickie”. And then I realized that it’s time. Time is the key. It’s not enough for me to feed and water them and occasionally pick one up. Time spent playing with and holding them is what makes the difference. I would never describe either of my boys as patient. Yet in this, they are more patient than I am. They will sit and coax a chick into their laps and not get frustrated when it doesn’t come right away. Yet, I see them lose patience with so many other things. Joe gets in a huff when he can’t do something well the first time he does it. Jake loses all patience when he can’t get the wrapper on his cheesestick off. But maybe it’s because these “other” things are just not in their control. They have to rely on someone else to help them. Maybe thats where the frustration comes from. 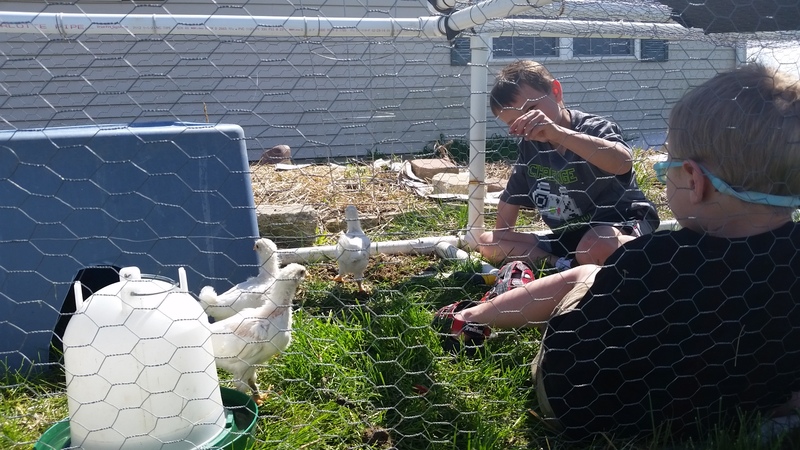 Playing with the chicks, nourishing them and coaxing them to be comfortable is not frustrating for the boys. On a weird level, they connect with that vulnerability. The chick is at their mercy. The chick is relying on them. There is really no magic to the chicken whispering. 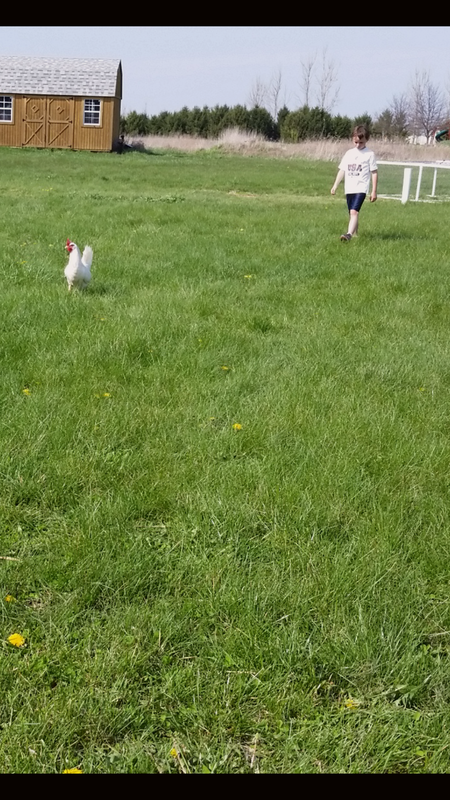 This entry was posted in A to Z Blog Challenge, Chickens!, For the Kids, Life. Bookmark the permalink.